LOOKING FOR A GREAT GIFT FOR A FRIEND OR LOVED-ONE? Jeanne offers gift certificates for art or art classes in any amount. You have never painted before, but you still have the wish to try it? You had your last art experience in high school and you are thinking of picking it up again? You've been painting for years and you feel the necessity to bring your work to another level? 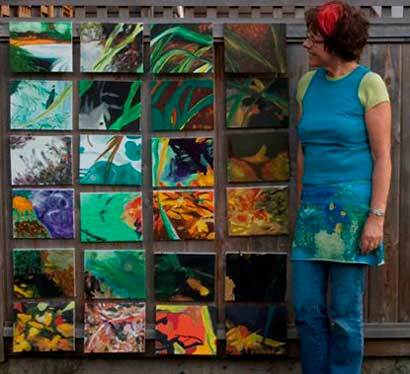 Sign up for one of Jeanne's art workshops! Starting Fall 2019 Jeanne will be teaching private classes and workshops, at her Salt Water Studio and elsewhere. All weekly courses will continue under the inspiring and knowledgeable leadership of artist and art educator Sandra Bowen – info@sandrabowenartist.com. Come and explore the power of colour in this short workshop which will introduce you to colour temperature, value, transparency, colour mixing and using colour in a painting 2 X 3 hrs. We will work in this course with acrylic paint. Participants come home with a basic knowledge of colour and what they can achieve by using colour in their art work. Every participant will receive a colour wheel A fun and great course for anybody who paints in any medium! A worry free course: I will bring all your supplies! $ 120+tax - All use of tools and materials included! 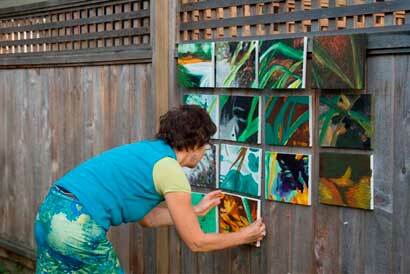 You are looking for new impulse to your art practice? This workshop, spread over two afternoons, will focus on different image transfer techniques and how you can work them into your art projects, together with texture ideas that will help you build the surface of your art pieces. We will work with papers, cheese cloth, spackle, modeling paste and gel mediums, making use of regular palette knives and brushes and more unusual application tools and materials. Come have fun and explore new ideas for your mixed media art work! Three Thurs afternoons playing with acrylic paints and learning how to start, create exciting layers and finish a piece of abstract art. You will be introduced to ways of creating a design for your piece, textures, dry brushing, lifting and glazing. Come an join us for a three-week course in the most beautiful art room in Vancouver, right at Coal Harbour, with views of the water, Stanley Park and the North Shore mountains! $165+tax - All use of tools and materials included! 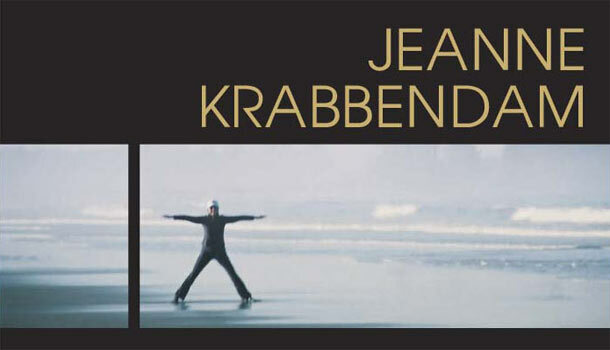 This is a weekend course with artists Sandra Bowen and Jeanne Krabbendam. Of course you can paint with a brush, but don't let that withhold you from trying other tools. This weekend we will be exploring a range of different tools and techniques to create an interesting texture and great designs. The base of our work will be acrylics. Come prepared for an extra fun weekend of experimentation and creation. Bring cover-up and yourself. The rest will be waiting for you in the Art Room! Did you know that when you organize a group of artists, Jeanne is willing to travel to you to conduct a workshop in your own town? Planning of these kinds of workshops and courses is simple, just email Jeanne at jeanne@axion.net, or connect per phone: 604 434 1367 and together you can get your workshop going! By appointment, $80 per hour ($60 sharing with a second person, $50 sharing with three). 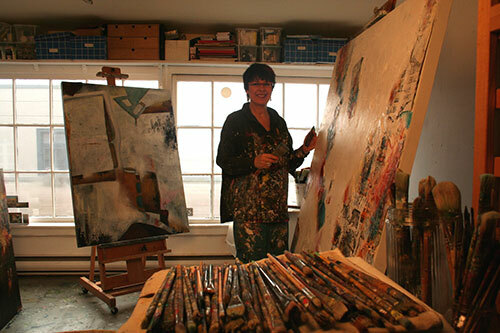 Give art a first try or learn new skills in the privacy of Jeanne's studio. From acrylics to photo transfers, collage, antiquing or alteration techniques, you can get private lessons in any water medium or mixed and experimental technique. Trying new techniques for the very first time? Preparing for an art show or art school? In need of feedback on your work? Anything is possible, just arrange a date and time with Jeanne. Use of tools and materials included. 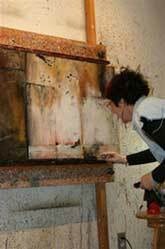 Jeanne presented a workshop in which participants all painted a small canvas as part of a larger picture. Over the course of a few hours during the party 24 people were involved; they created together this multi-paneled piece. Jeanne enjoys to receive comments on her art or her web site. Please send her an e-mail. Jeanne accepts payments by VISA or Mastercard for her art, or any of the Workshops. Just contact Jeanne. “Best workshop I have attended ever! The teacher was attentive and fun to be with - Very perceptive! I had a great time!" Teaching at Red Deer College, "Art with a Story"